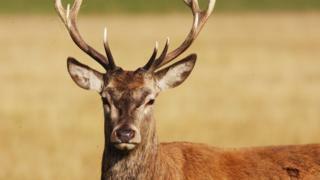 The man, 47, had gone to feed the stag on his property in Victoria when the attack happened on Wednesday morning. The stag was a cross between a red deer and an elk, police sergeant Paul Pursell told reporters. Sambar, fallow, red and hog deer are all found in Victoria.